We’ve compared the cost of replacing a stolen vehicle or a piece of equipment with the annual cost of using Automile, and it's a no-brainer. The cost for protecting our assets is totally worth it. Automile helps me keep a pulse on the vehicles and drivers. I have been able to increase cost savings and best of all, after the telematics has been introduced, I have had 100% driver retention rate. The price we pay for Automile is about 50% cheaper than other GPS solutions and we already have an estimated 10%+ cost savings through accurate labor hour tracking and avoiding payroll discrepancies. By eliminating manual mileage tracking, we have saved a ton of time and increased productivity. 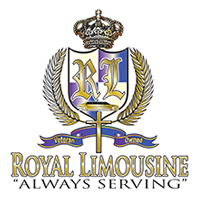 I get peace of mind knowing that my drivers and vehicles are safe. Automile has given us the ability to monitor the whereabouts of our fleet when they are offsite. Based on the live map tracking, we can see which vehicles are on-site, which ones are at the job site, or if any vehicles have deterred from the destination. 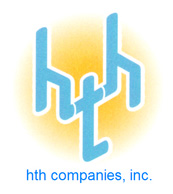 Fleet Supervisor, HTH Companies, Inc.
We’ve had a 66% cost savings merely by switching to Automile. But the true savings in terms of money, time and resources are way more. I love going to live view and see which vehicles are parked and which ones are moving. We are able to see when the installer gets to the property and are able to keep a check on the labor hours that are entered into the TSheets. We have seen some payroll savings because of this. The employees were so excited that they told me — 'I will pay whatever if I don't have to keep track of mileage log'. An important aspect of it is that if a vehicle gets stolen, we can track it down easily. That is huge! I get peace of mind from knowing exactly where our vehicles are at any given point. This is the biggest ROI for me, and it’s been worth every penny. It felt like a really simple system for our drivers to begin using. We especially liked that there was no installation required. The way I look at it, there was about $1000-$1500 worth of assets being stolen per month. So in one month of using Automile and saving that money, I’ve already paid for a year of using Automile and keeping my assets protected. With Automile, we now have information that we never had before, and we believe it will help us be safer. This is very important because we have so many of our drivers driving in the early hours every day. Now with Automile, we can bring up a map and know where all our trucks are so I know that if I have a house that needs to be done in a neighborhood, I can see which vehicles are closest to this neighborhood and get someone over there as fast as possible. General Manager, Fire & Safety Commodities. We're using Automile to protect our livelihood and interests, and using it properly can work to our benefit. Automile easily saves me at least a few hours a week in labor hours, and pays for itself. As a company owner, having Automile gives me tremendous peace of mind. Owner, The Brick Paver Dr. The #1 reason we wanted Automile was we didn't want to cause a loss of life by neligent driving, and we also don't want to lose our business to a lawsuit. Simple Vehicle Tracking. Reliable GPS. Great Price.